This is a MEGA workout. Don’t get rhabdo! Please read up on rhabdo, the causes and symptoms, hydration, and know where that tipping point is for you! 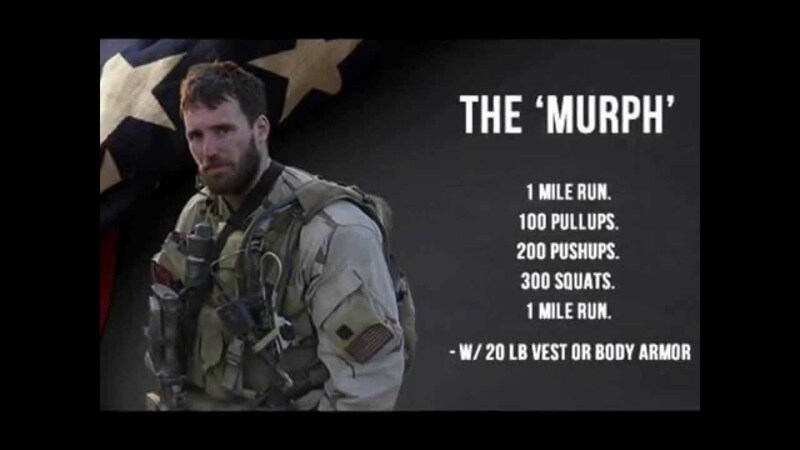 The most important part of Saturday is making sure everyone pushes hard for Murph without any injuries!! Scale as needed, listen to your body, do what you can, push your limits. Memorial Day 5/30: Cadence Run at 8 AM, meeting at Wyomissing Pool. Followed by ONE class at 9 AM at Corps Fitness. We’re rolling out a new pricing schedule for our teacher and nurses! Check out the top of CF’s fees page for more information! See previous post for summer kids class information! Submit your honorees TODAY! Summer 2016 HW will be June 19 – 25th. – The Kaag Challenge is extended indefinitely, so be sure to get in touch with Chris or Melissa for a time slot! CFers have been gettin’ it done week after week – congrats!! – A reminder to check out the CF Loyalty Program and Incentives we announced April 1st. You can also earn points via membership and merchandise purchases! Check out the link for full details, and start earning today! For newbies looking to take advantage of the incentives, remember you must attend an intro class first. After that, you’re be eligible for 2 weeks of free membership and then an additional month at $70. – Memorial Day 5/30: Cadence Run at 8 AM, meeting at Wyomissing Pool. Followed by ONE class at 9 AM at Corps Fitness. – REMINDER: Typical Saturday class times are now 8 AM (Corps Fitness) and 9:15 AM (CrossFit). Two different class types on a Saturday! – Wednesday, Thursday and Saturday SPIN classes are on hiatus for summer. Next Intro to Corps Fitness class will be Saturday 5/28 at 9:30 AM with Chris. Come on by and then enroll in our incentive program!